Which is nice... But... Just give me Goro. :/ the roster feels small. Well they kind of did. Goro is the rotting corpse in the background. All Time Favorites: "Stone Cold" Steve Austin, Bret Hart, Randy Savage, Sting , Rick Rude, & Ric Flair. AJ Styles will be added when retired. Thank you for everything, Daniel Bryan. I can't play as a rotting corpse in the background. You can still play Goro in MK X.
Goro is awesome and it's a a bit of a shame he's not in the game, but Shao Kahn took his spot. They're not gonna put two big, giant bruiser, boss characters in the same game, and Goro was in the last game. This time, we get, in my opinion, the vastly superior of the bosses, and the one that's more popular, at least, in my opinion he is. Goro may be DLC anyway. Supposedly we're getting a lot of "fan favourite" DLC characters. I'd guess not but there's no way of knowing. Last edited by Tyrion Lannister; 02-18-2019 at 12:41 AM. 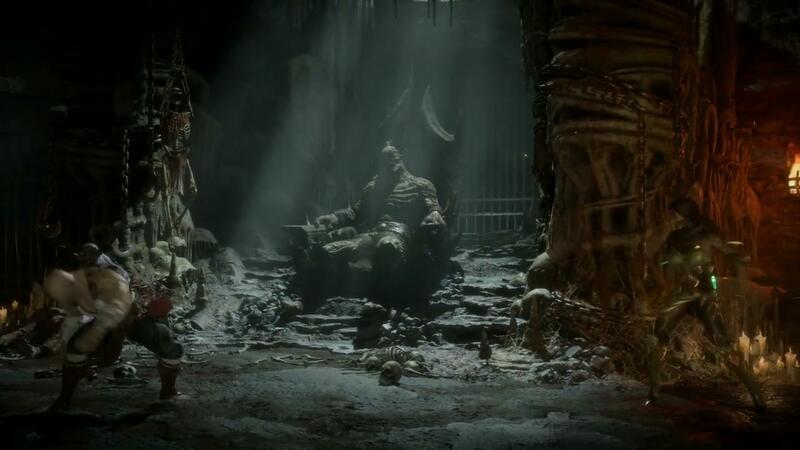 Goro would be nice to have, but I'm satisfied with the roster, as Shao Kahn, Scorpion, Sub Zero, Baraka, are my favorite characters, and even Erron Black, who was the best new character in MKX, is making a return. Graphics-wise, this looks exactly like MKX so I'm not sure why they're taking characters off the game when they can just use the same models and animations. Its what they do. Then when folks moan enough about a missing character they magically appear in the next one. It's not like all playable characters need to be in the main story. You can keep characters and have a 50 people roster which isn't that huge. Preaching to the choir on this one. I'd gladly use up all my hard drive space for a full MK roster. With the time angle, it would've been a great way to bring everybody back.